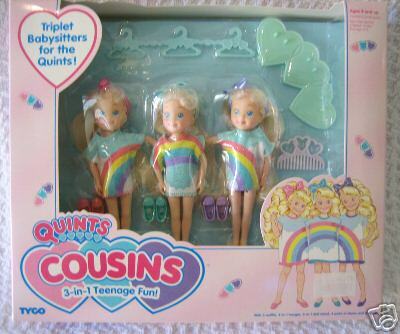 Triplet Babysitters for the Quints! "When they hug side by side, they make one cool picture! 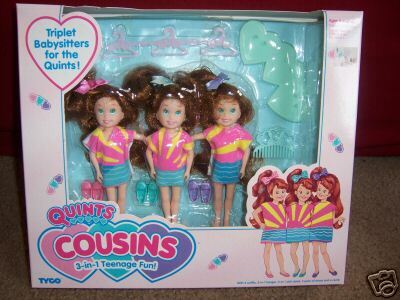 They're 3-in-1 fun!" 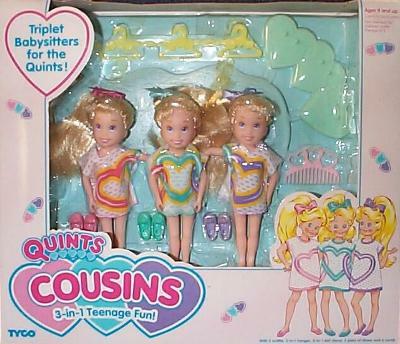 The Quints Cousins are here! 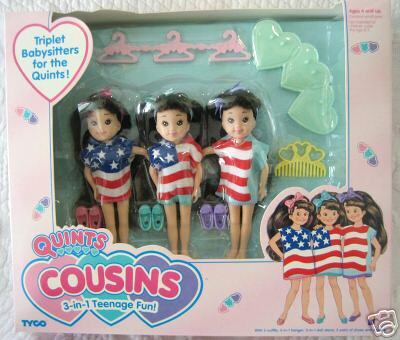 And they're the perfect babysitters for the Quints! 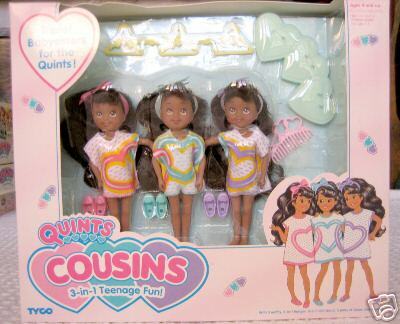 With 3 outfits, 3-in-1 hanger, 3-in-1 doll stand, 3 pairs of shoes and a comb.